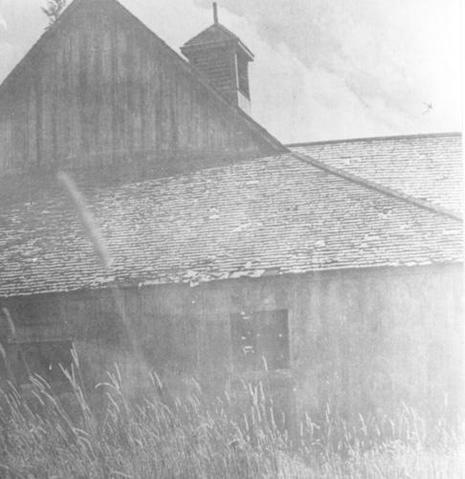 Hop Ranch barn that used to stand by a field at Eagle Run. Hop farming was Squamish's first major industry. The major producer was Squamish Valley Hop Raising Co. (Bell-Irving Ranch). Hops are perennials and grown about 6 feet apart. They are picked during September and August. Hops are dried and bleached with sulphur in a kiln. In Squamish, Chinese labour was brought in to tend the hops. Local First Nations picked them. They would camp in the area now between Petro Canada gas station and the Cottonwood condominiums. The hops in Squamish were top grade. They were shipped to Vancouver in bales wrapped in Burlap, then shipped to Britain where they were used to make beer. Squamish Public Library, Squamish Files: Industry.